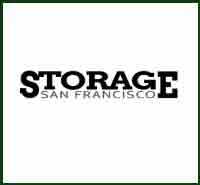 Where is Affordable Self Storage located? We're located at 750 Ave E San Francisco, CA 94130. We’re just off I-280 and block away from 101 easily accessible from anywhere in the Bay Area. Where do I reserve a unit and make payments? You can make payments at our location OR our reservation and payment center is available at 435 23rd Street in San Francisco, CA 94107. Our friendly staff is available to assist you with any of your storage needs Monday - Friday 9:00 AM to 6:00 PM, and 10:00 AM to 6:00 PM on Saturdays. Our office is closed on Sundays. Do you offer wine storage? 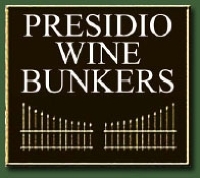 Not at this site We're proud to refer you over to our other location PRESIDIO WINE BUNKERS were they have units specially designed for storing wine. Also, our warehouse location has there type 14 license, located in the heart of the dogpatch! We provide 24-hour limited access for our customers, so come by any time you need to. What is limited 24 hour access? 24 hour limited access is after hours from 6pm to 9am all tenants is allowed access to their storage space for a total of one hour for the purposes of delivering or removing items from their units. We offer parking to promotional vehicles and food trucks also box trucks. We have very limited space. So we only offer parking to business vehicles . Will my delicate items be safe? Absolutely. Our facility has site security and perimeter fencing, gated entry, and surveillance cameras to keep your belongings safe and secure. Call us or fill out the form on our contact page. You can also stop by - our staff will be happy to help you get started!